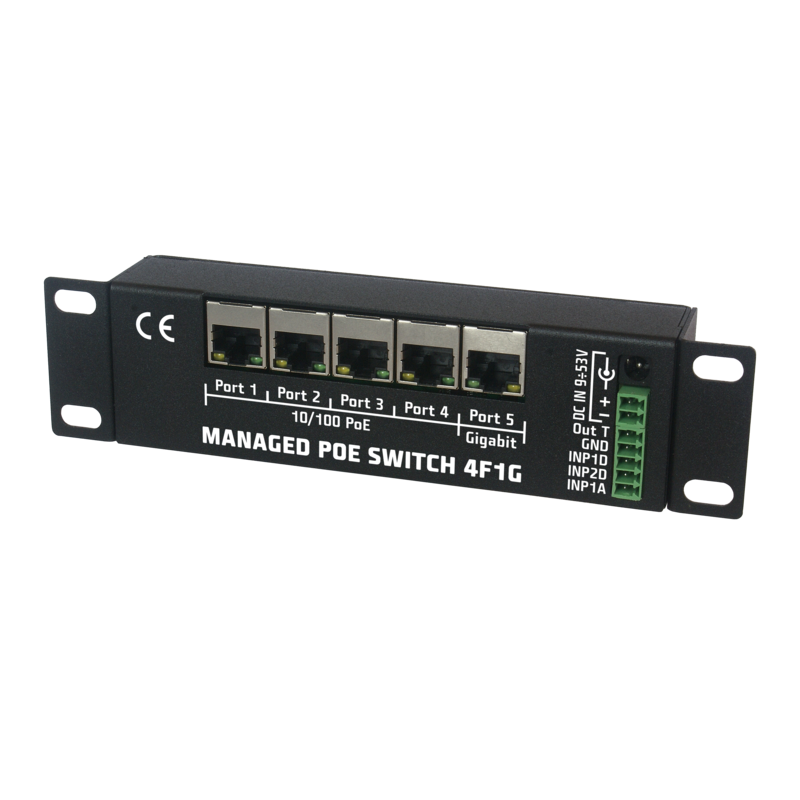 Managed PoE switch is unique device designed as combination of management switch, PoE injector and in/out controller. In opposite to typical PoE switches this one don't has fixed voltage output. This parameter depend on voltage of connected supply. Thanks it switch is very universal and what is very important power supply uninterruptible is very easy to implementation. Just need to connect buffered uninterruptible power supply with battery (also in offer in our shop). In addition PoeSwitch 4F1G have reset button.